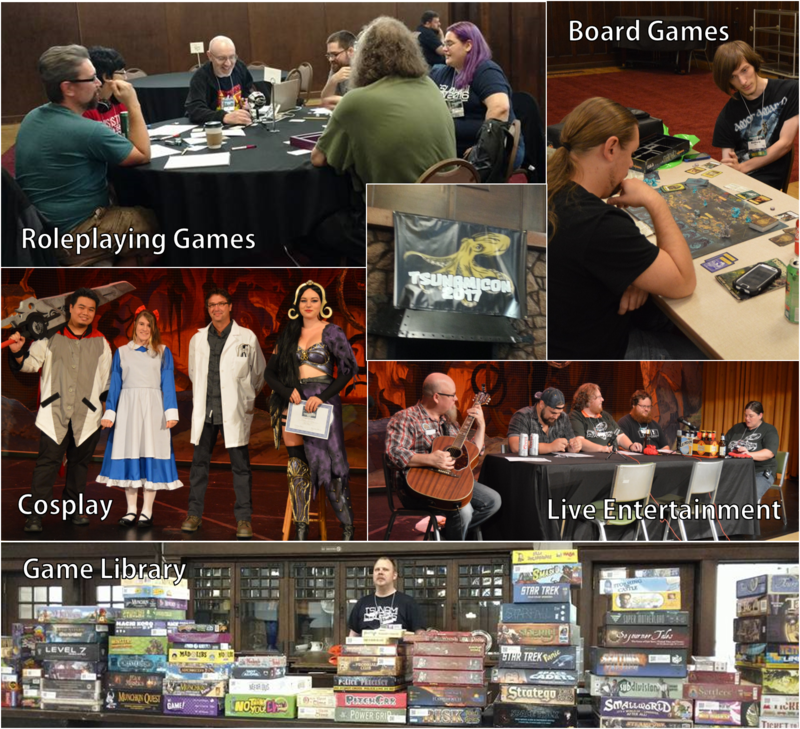 TsunamiCon is Wichita's premiere tabletop gaming convention, presenting a variety of gaming opportunities and related geekery right here in America's heartland. 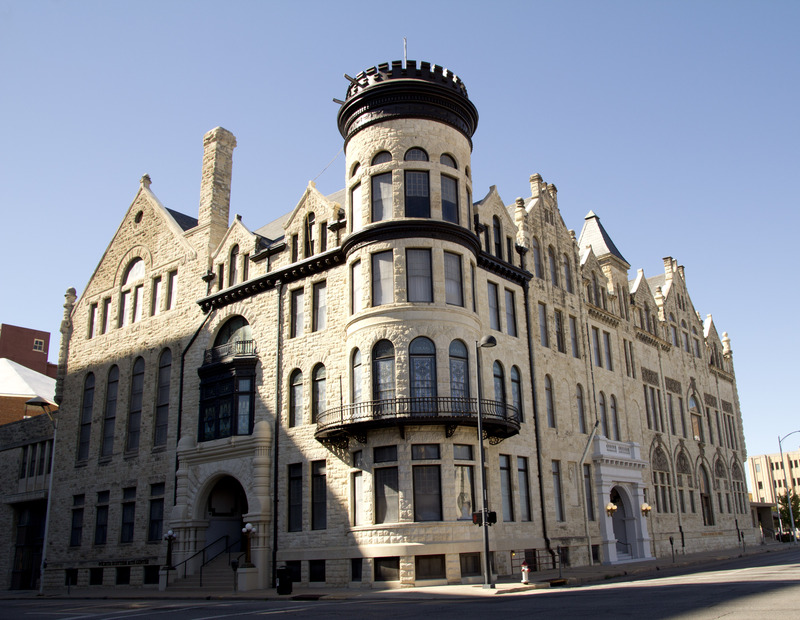 For our fifth annual event, we return to the beautiful and historic Wichita Scottish Rite Center in downtown Wichita. TsunamiCon attendees can enjoy a number of fun and exciting events throughout the weekend! PLUS Featured Events, Special Guests, Organized Play, Live Action RolePlaying, Miniature Painting, Contests and Giveaways, and more...! TsunamiCon routinely negotiates for special convention pricing at nearby facilities. Visit our Hotel Reservation page for the latest updates on available lodging. How does my group, store or I get involved? Gaming Clubs or Organizations. We offer discounts for members of local gaming clubs and organizations, and we will have a table for flyers and other promotional information for your group or upcoming event. Organizers can contact us to qualify and arrange a discount code for members who purchase their tickets online. Your group or organization can also earn discounts by volunteering to help at the con. Local Business. We enjoy partnering with local businesses to offer goods and services to our guests. Businesses interested in purchasing vendor space at the convention, sponsoring features or tables, advertising in the program, or exchange prize support for promotion at the con should contact us directly. Individuals may participate as players and event organizers, and need not be part of a larger group to do so. See our Volunteers and Events pages for details. Who are the convention staff and organizers? The convention is organized, staffed, and promoted by members of the Prismatic Tsunami gaming community. The convention is financed by TsunamiCon LLC, sale of tickets and merchandise, vendor fees and sponsorships. Prismatic Tsunami is a Kansas-based, global community of gaming enthusiasts who like to explore the hobby, produce game-related content (such as podcasts and periodicals), and organize events.